The new versatile pedestrian Counter Balance Stacker A Series 0.8 – 2.0t provides a highly economic and flexible handling solution for a variety of environments including: warehouses, supermarkets and handling of pallets. 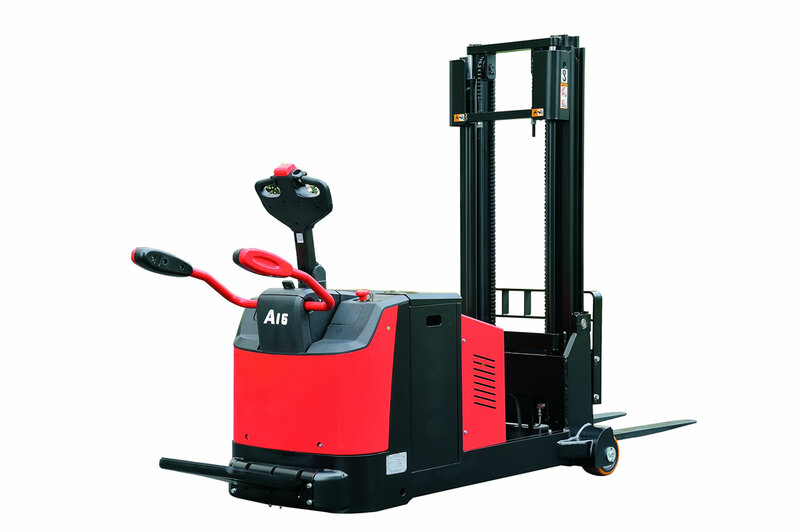 Capable of handling both single and double-sided pallets, the A-Series Counterbalance Stacker performs many of the tasks traditionally associated with a forklift truck in considerably less space and at a much lower cost. Combining a low centre of gravity design and high strength steel frame structure chassis, it provides a higher residual load capacity. Its high tech shock absorber offers high levels of comfort which significantly reduces fatigue, resulting in longer and greater performances.